New Delhi/Islamabad: Saudi Arabia’s Crown Prince Mohammad Bin Salman is expected to announce investments in energy and infrastructure during a visit to India and Pakistan in coming days. 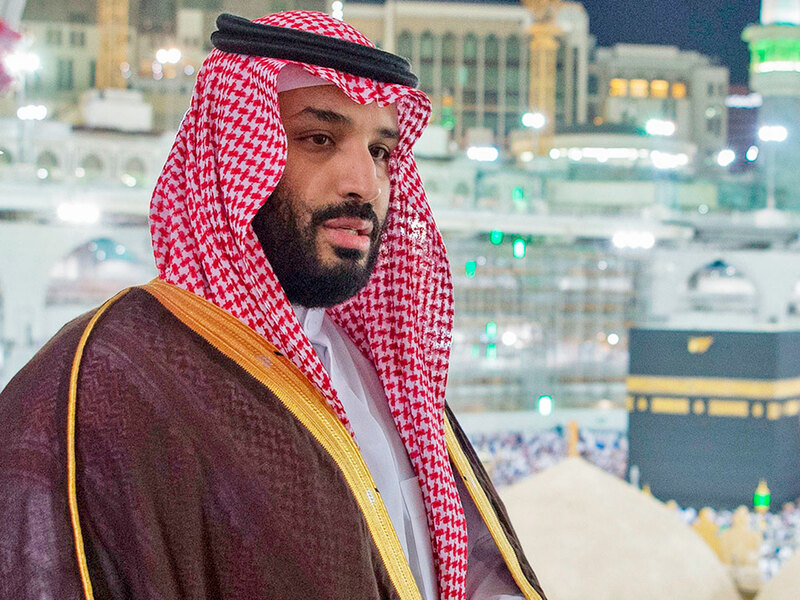 The prince, known as MBS, is also expected to visit China, Malaysia and Indonesia during a tour that will be his first through the region since the storm over the murder of Jamal Khashoggi, a Washington Post columnist, at the Saudi consulate in Istanbul last October. Prince Mohammad is due in visit Pakistan this weekend, when he is expected to ink agreements, mainly linked to a refinery and the power sector, Pakistani officials said. He is expected in New Delhi next week, along with leading Saudi businessmen, at the invitation of Prime Minister Narendra Modi, India’s foreign ministry said on Tuesday. Pakistan’s new Prime Minister Imran Khan was among a handful of heads of state who attended Riyadh’s flagship investment conference that month, an event that was boycotted by many companies and world leaders in protest over Khashoggi’s murder. India’s Modi met the prince in November, when they were both in Argentina for a Group of 20 summit. Though Saudi Arabia remains India’s top crude oil supplier, the two countries have expanded ties beyond energy, and their governments have agreed to build a strategic partnership, the foreign ministry said. “In recent years, there has been significant progress in bilateral cooperation in key areas of mutual interest, including energy security, trade and investment, infrastructure, defence and security,” the ministry said in a statement. India is expecting Prince Mohammad to announce an initial investment in its National Investment and Infrastructure Fund, a quasi-sovereign wealth fund, to help accelerate the building of ports and highways, an Indian official said. However, progress on a $44 billion (Dh161.5 billion) refinery that Indian state-run oil companies agreed to build with Saudi Aramco on India’s west coast has been held up by strong opposition from mango farmers who will lose their land. As a fellow Muslim country, Pakistan has long maintained strong ties with Saudi Arabia. In late October, Riyadh offered Pakistan a $6 billion loan to help keep its ailing economy afloat. Saudi Arabia has also announced plans for a $10 billion refinery and petrochemical complex at the coastal city of Gwadar, where China is building a port as part of its vast Belt and Road initiative. “They’re looking at the energy sector, at some of our privatization plans that they might bid for through our privatisation process,” Pakistani investment minister Haroon Sharif told Reuters. “Saudi Arabia has huge resources. Their investment fund is over $1 trillion, so we want just a fraction of that,” said a second Pakistani minister, who did not wish to be named.